Choose from Quality combi boilers, system boilers or heat only boilers, all with Band A Energy efficiency rating to produce more usable heat from the amount of gas used, compared to your old boiler. 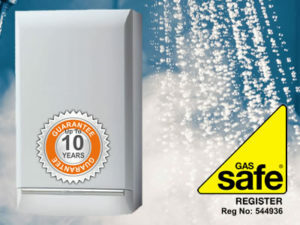 Your new boiler, fitted by our expert Gas Safe Registered installers, hassle free, with up to 10 Years Guarantee and Ãƒâ€šÃ‚Â£500 scrappage allowance for your old boiler. The most popular type of boiler. A combi boiler only heats water when you need it, running the hot tap or when your shower is being used, providing maximum efficiency. Hot water flows to your taps at the pressure of your mains supply, so you can enjoy a hot powerful shower without the need for a pump. For households that require more available hot water to cater for multiple bathrooms and central heating a system boiler could be the perfect choice. The system boiler provides hot water to your taps and feeds your radiators via a pump. Hot water stored in a sealed storage cylinder. System boilers are reliable, versatile and highly efficient. 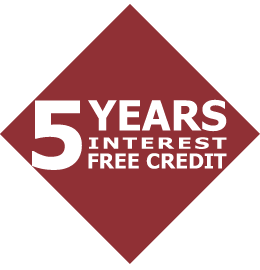 Also known as conventional boilers, heat only boilers are usually installed on an open vented system. This type of system is often has a water tank in the loft, a hot water storage cylinder in the airing cupboard and a separate pump. Quality Range of high performance radiators with precision welded convectors for greater efficiency and economy. 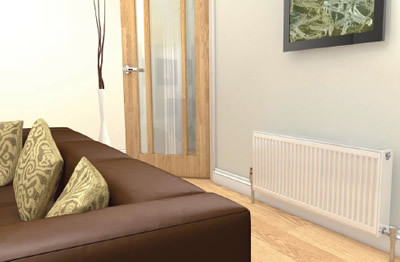 Compact and stylish, our radiators are available in a range of sizes with a high quality, durable finish. NEST control is a thermostat that learns and adapts to your life. 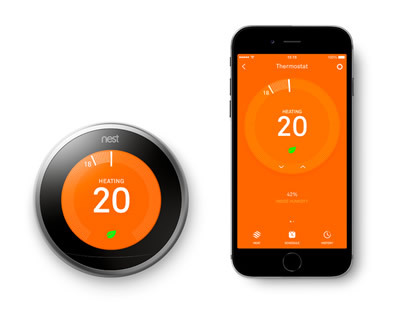 Within a week your NEST thermostat learns your heating habits and then programs itself. You have the freedom to control your home temperature on the move from your mobile phone or internet connected device so your home or hot water can be just right for when you arrive.